5 Reasons to Use These Ads, Cracking the Code on Twitter Advertising. It’s true — Twitter has its problems, but in certain cases and contexts, it truly is the best ad platform you’ll find — though ultimately it will depend on what you hope to accomplish. But Twitter offers some unique ad targeting features you won’t find anywhere else. These are the unicorns in a sea of donkey ad features. Don’t get me wrong — I love Facebook Ads, Google AdWords and Bing Ads. These advertising platforms all do a ton of things fantastically well. You can target people who have used a specific word or hashtag in their Twitter update (or people who have interacted with tweets containing those words) in the last seven days. Facebook doesn’t allow you to do this. On Facebook, you can’t target by keywords. Facebook only offers topic targeting. What’s the difference? Well, on Facebook I can only go after people who are interested in AdWords as a topic. On Twitter, I can get much more precise. I could target #ppcchat — a popular hashtag for marketers to talk about all things PPC. Facebook has an exhaustive list of tens of thousands of topics. But as great as it is, Facebook doesn’t have a category for something as granular as #ppcchat. Let’s look at one crazy example of this in practice: #FIFAgate. And something funny happened. 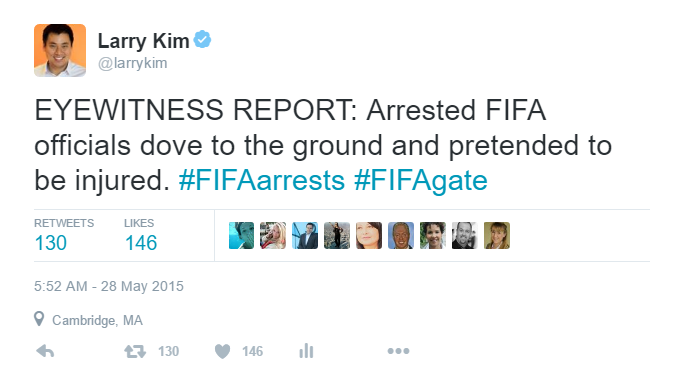 This promoted tweet ended up being featured in an article, The 14 Best Tweets from FIFA gate. Odds are you want see something like that happen as a result of advertising on Facebook. 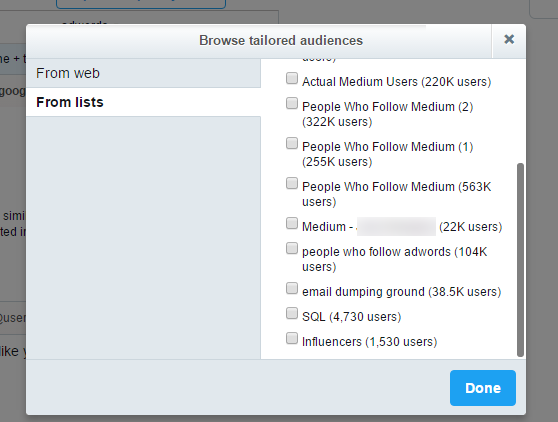 Did you know you can target every Twitter user who follows specific accounts with your Twitter ads? If you use a tool like BirdSong Analytics, it’s easy to download a list of every follower for any Twitter account and create your own tailored audience to target with your Twitter ads. Facebook has custom audiences, which are awesome in their own way. But Twitter wins here because for Facebook custom audiences to work, you need to have the email address or phone number of the people you want to reach. That’s a big stumbling block. What if you want to reach Facebook users but you don’t know their email or phone number? Sorry, you’re out of luck! On Twitter, the bar is much lower. All you need is a Twitter user’s handle to reach people with your promoted tweets. The price of a click is based on the auction. It has everything to do what people are willing to pay. 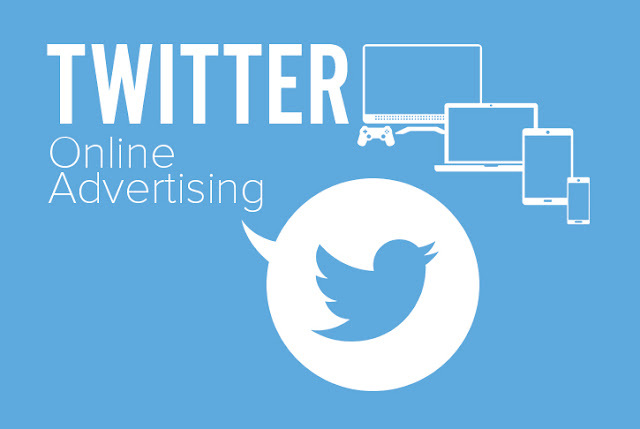 When you promote tweets on Twitter, you only pay when you’ve achieved your marketing objective. Whether your goal is website conversions or Twitter engagement, you only pay when people take that action (any additional organic impressions and engagements are free bonuses!) It’s the same for everything with Twitter. If you run a followers campaign, you only pay for the number of people who hit the Follow button and start following your account. What’s really great here is that Twitter is shouldering some of the risk. Twitter believes their advertising product will deliver exactly what you want. Compare this to LinkedIn, for example, which doesn’t offer any pay-for-performance advertising options. Facebook does offer pay-for-performance (page likes, app installs, link clicks), but Twitter can be far superior for lead generation. This is a real hidden gem of Twitter advertising. 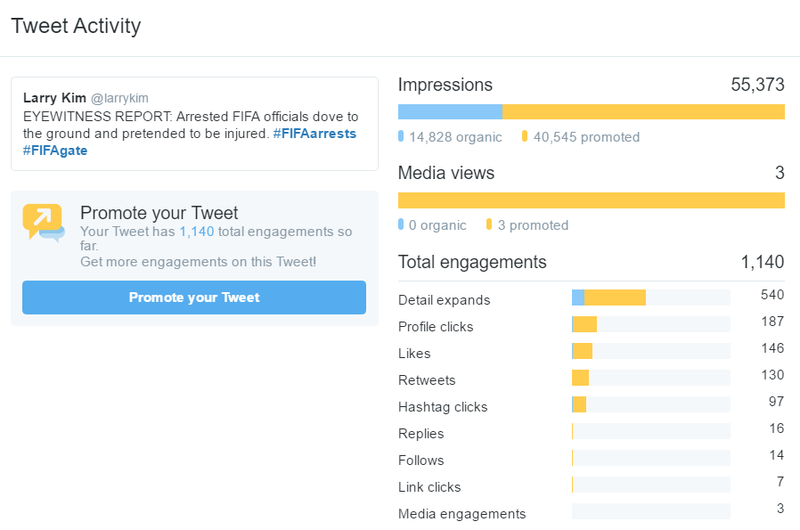 Rather than going for everybody on Twitter in a non-targeted way, you can target not only the people who saw your promoted tweet, but those people who actually engaged with it. Targeted people who engaged with your tweets is Twitter’s version a laser-guided missile for finding the 1 percent of your most engaged users. Amazing stuff here! Facebook doesn’t have anything comparable to this. The closest thing I can think of is Facebook’s great “hidden” invite button that lets you invite people who engaged with your posts to like your page. Plus, there are huge advantages in Twitter’s system for having high engagement rates. 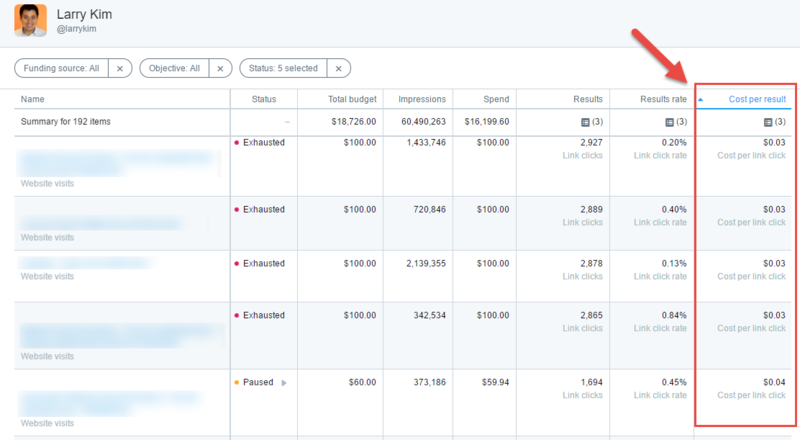 You can learn more about this in my post, Hacking Twitter Ads: Mastering Twitter’s Secret Quality Adjusted Bids Algorithm.